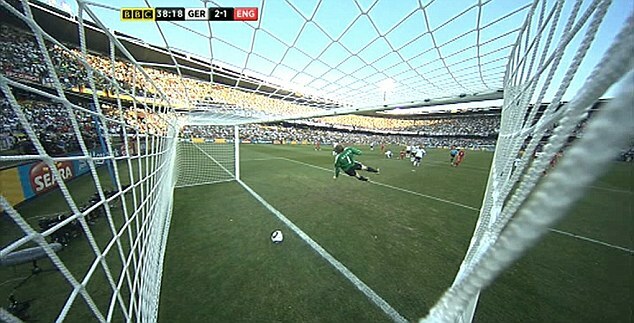 One outstanding point of our embarrassing World Cup exit is the Frank Lampard goal that never was. A goal that landed a good couple of feet behind the line, was apparently missed by a linesman and referee who have brought further embarrassment to FIFA on the global stage. Whilst the goal may not have changed the outcome of a dismal game for England, the matter shouldn’t be ignored and put to bed. “It would have got us back to 2-2 and would have changed the game because we would have the momentum, but that’s papering over the cracks. “Goal-line technology has been a talking point over the past few years and that’s highlighted it even further. Grayson is right in saying that the decision changed the course of the game. Whilst it shouldn’t be used as a convenient excuse by Capello and the inadequate England team, it shouldn’t be forgotten either. At 2-2, John Terry might not have been trying to play as a striker. Germany might have held back a little bit, and the game may have evened out. Instead, the goal was disallowed, the teams heads dropped even further and Germany rubbed salt into the wounds. The most ridiculous thing of all, is that the technology is available to prevent such instances and has been for some time. For the purists out there, I understand that we don’t want technology ruining the game like it has in other sports, but a simple sensor in the ball which alerts the ref when it crosses the line can only be beneficial. So, to the Sepp Blatter’s of this World it’s time to act! Football is the richest and most popular sport in the World. The World Cup is the biggest sporting event on the planet, watched by billions world-wide, and yet we’ve failed to implement a device that some middle-class, tweed-wearing, private school boys mastered years ago. It’s come to something when tennis is teaching football how it should be done! Biggest rivals for the Championship 2010/11?